Ratio on cover is exact opposite of how much the story revolves around these groups of characters (thankfully so). Starfleet Academy is a pitch-perfect addition to the Abrams (Kelvin *ugh*) -verse, much in the same way an earlier Marvel series (of the same name) added to the DS9-verse. 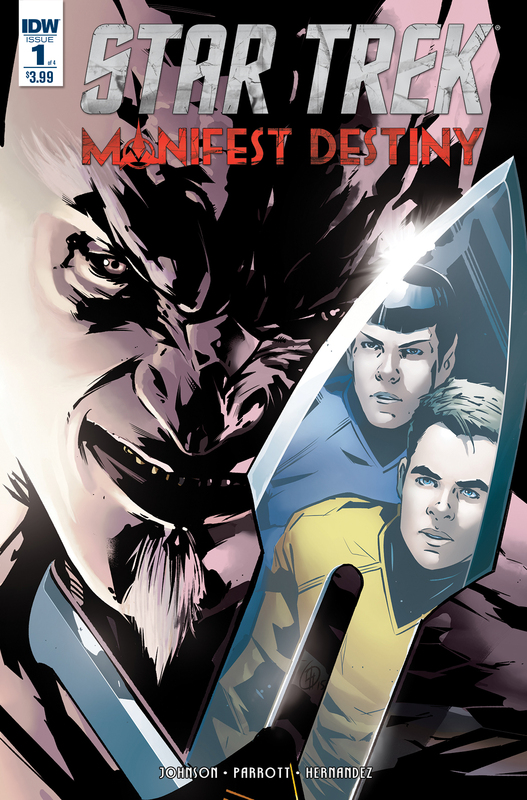 The five issue story takes place in 2258 and 2261, following the adventures of the main Trek crew just prior to the events of the 2009 movie, and a group of new recruits competing in the Academy’s centennial celebration contest. The two stories are told roughly concurrently, though more weight is given to the 2261 era crew, and the comic is better for it. The 2258 arc centers mainly on Uhura, with cameos by Spock, Kirk, Chekov and Robocop from Into Darkness (Admiral Marcus I want to say…?). Uhura and Spock’s relationship is a bit bumpy (all Spock’s fault BTW) and Uhura decides to turn her feelings toward investigating a faint signal she picked up from a lost ship, which turns out to have been lost more than 100 years ago. After she discovers that information about the ship and transmission is classified she enlists the help of first Chekov and then Pine-Kirk to break into the Starfleet Archives for more information. She’s caught, chewed out, and Spock saves the day (and their relationship), but we don’t really know what happened to the lost ship. And this is before the Knightfall-esque cover where a cadet’s back is broken by a Jem Hadar. The 2261 story centers around T’Laan, a Vulcan cadet struggling with whether to remain in the Academy, or rejoin the rest of her people in establishing a new Vulcan colony. She’s convinced to stay through the Academy’s 100 year celebration competition by the most adorable Tellarite instructor in the history of the series in return for him expediting her withdrawal from the Academy should she still decide to leave after the contest. Isn’t he the cutest thing? Lets take a minute to admire Derek Charm’s artwork which is dare I say … Charm-ing. For those of you still left after the horrendous pun, Derek Charm does manage to inject a lighter tone to this story without taking away from some of the real conflict going on with T’Laan. This a brighter and more cartoonish interpretation of these characters, but never in a way that feels like a cartoon. It’ll probably be more engaging to a younger audience, but still with a lot to offer older readers like me. The ship design work melds well with some of Beyond’s new effects we see from the trailer. T’Laan’s teammates are the usual mix, a haughty Andorian, a girl who built her own exo-rig, a brainy human, and a Monchezkin who is only just now learning to use spoken communication. This character is played largely for humor, sometimes more effectively than others. We’ve seen literal characters like this before (one of the reasons I love Anya from Buffy), but this plays a little differently. Overall, he’s a nice one to throw into the mix of all these misfit cadets. 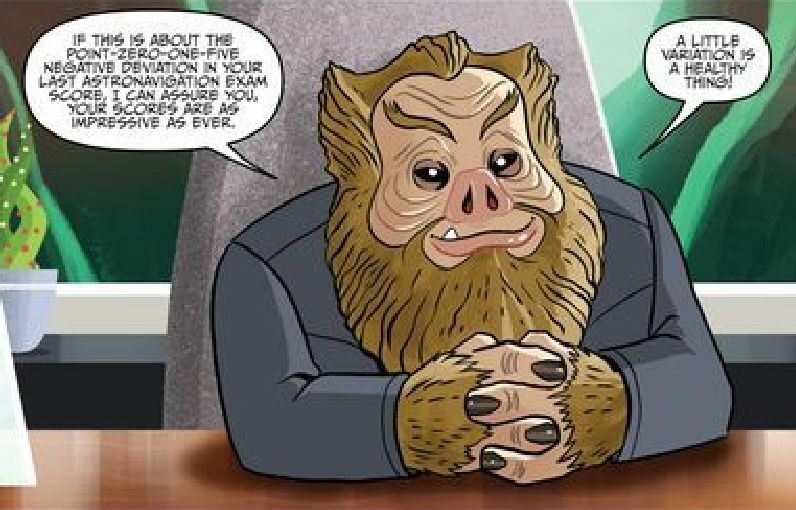 The comic has a good mix of ups and downs for our little crew, playing a lot better than some of the challenges Wesley faced in his Academy testing episodes in Season 1 of TNG. It ties the two storylines together in the final issue quite well and leaves things open for us to spend more time with these characters again. My only quibble is I don’t think we really needed the main crew storyline. All of the discovery and risk parts of the storyline could have been taken on by T’Laan and her group, who could have been plausibly kicked out of the Academy unlike Uhura. The Spock/Uhura relationship stuff doesn’t add much to their story that we didn’t already get from the 2009 movie. And Uhura doesn’t get to solve the mystery and has to wait till this new group comes along, so it’s not particularly satisfying for her either. But overall this is a fun tale, which is one of the best characteristics of the new movies. It integrates more serious events like the destruction of Vulcan without being morbid. Definitely a good comic to read in advance of seeing the movie. Hope there are more tales to be told with T’Laan (and the lovable Tellarite). Star Trek Beyond comes out later this week, and all this week on the blog I will be celebrating my life-long love of Star Trek (as if I really needed the excuse). Did you know that Star Trek comics are canon? To be specific, we’re talking about the Star Trek Ongoing and Countdown related series which are supervised by Roberto Orci. Gone are the days of having to ret-con a recovered Spock off his own ship back to mind-melded confusion (re: the effect of Star Trek III and IV on DC’s Star Trek Volume 1). We even occasionally get a mention in the new movies of events in the comics. Did you hear that throwaway line about “The Mudd Incident” in Into Darkness? That was for the comics nerds. All one of us. Who knows if any of this stuff is going to affect Beyond. Probably not, but here are some comics that should at least get you in the mood for the new movie. 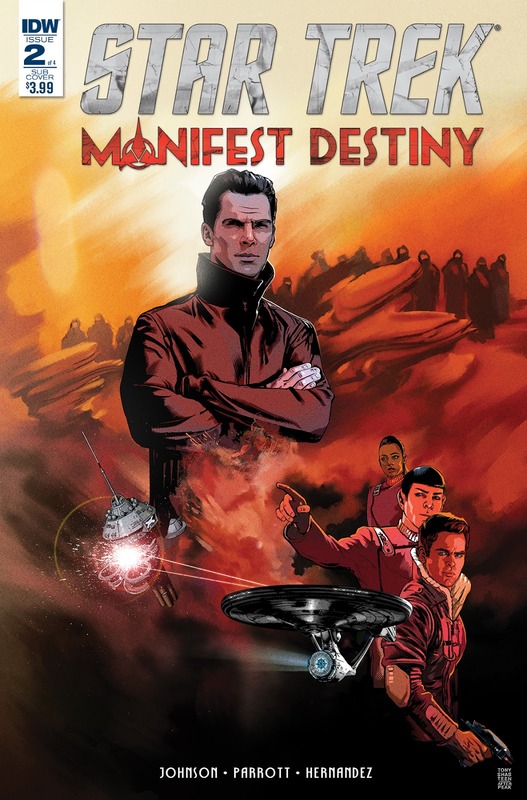 Star Trek Manifest Destiny: A limited series similar to the two countdown series that preceded the prior two movies. The events of this will probably have little affect on the plot, but the tone appears similar with a vicious enemy taking over the ship. You can read my review from a few weeks ago here. Read 53-54 on Ongoing as well to get a lead-up story to the Kai character. 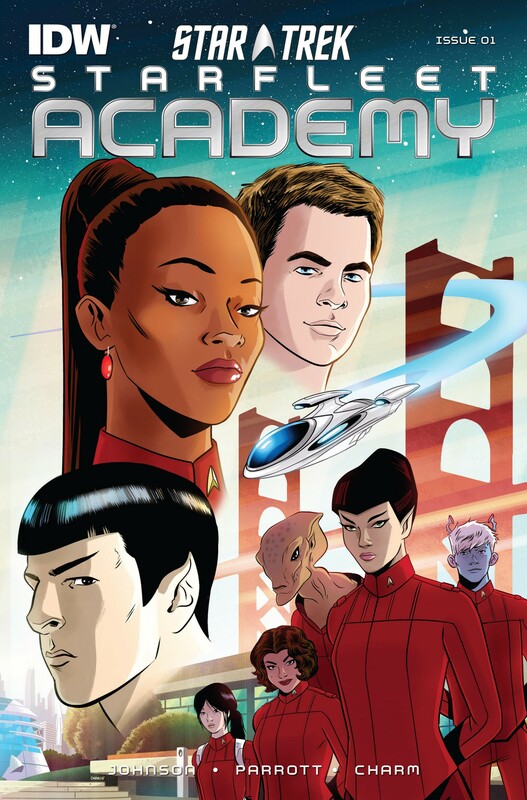 Star Trek Starfleet Academy: I’ll probably review this later this week, but this series bridges two timelines, the early academy days of Uhura, Spock, and Kirk and a crew of new recruits competing in the academy’s 100 year celebration a few years later. In the past Uhura stumbles across a transmission from a lost NX class ship and risks her academy career to find out the truth about a possible mutiny. In the present a Vulcan student is torn between her desire to join the rest of her people to preserve her race, and her wish to continue a career in Starfleet. She’s teamed up with a diverse set of students, including a race that is just learning verbal communication which leads to some great comedy. The new team stumbles upon Uhura’s research and possibly even the lost ship. The series explores the early ups and downs of the Spock/Uhura relationship, and does a nice job of integrating NX ships and Star Trek: Enterprise into the Ongoing series (both these elements look to be explored in Beyond as well). 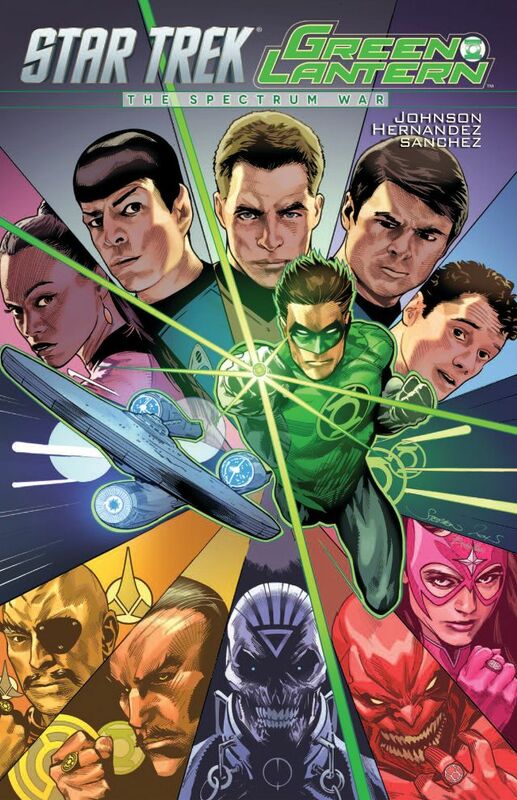 Star Trek/Green Lantern – The Spectrum War: Hear me out on this one. Even though the reviews of Beyond are turning out to be favorable, it’s probably wise to not let your expectations get too high. If the movie is only so-so, at least you’ll be able to say it was better than this sin against nature. Sadly at some point I still need to review this for NetGalley. Star Trek Vol 9: The Q Gambit: Another run I’ve previously reviewed. The high-water mark of the whole Ongoing series. Much better than their frankly disappointing attempts at Mirror-Mirror. Check out my review here. 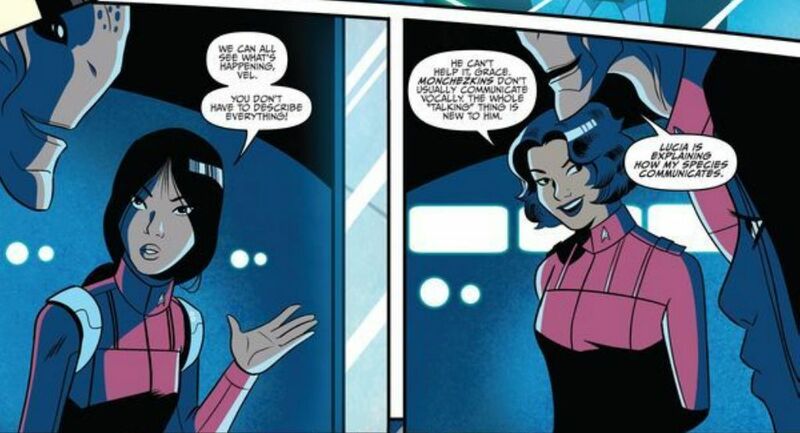 If you have time for only one, read Starfleet Academy. 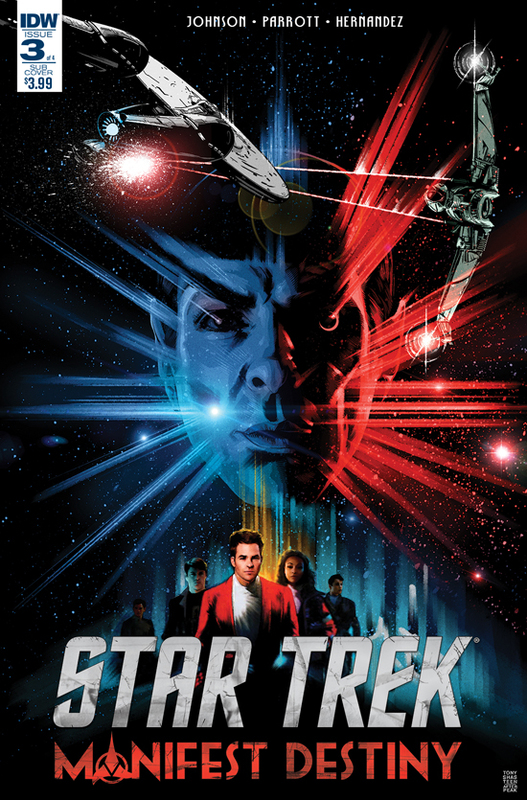 It’s tonally the most fun, and serves as a nice bridge between all parts of the current new Trek Trilogy. 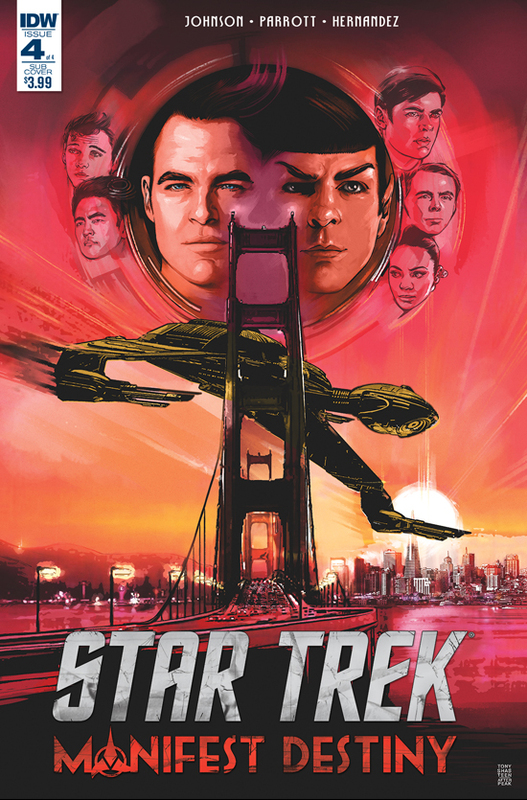 IDW and Humble Bundle have teamed up to deliver 50 Star Trek Trade Paperbacks for the 50th anniversary. Whether you’re a casual fan, or an avid collector like me, there’s a little something for everyone. Humble Bundle works on tiered payment system, some comics for $1, some for $8, some for $15, and even greater bonuses for $25. It can be a little difficult with a bundle this size to really know what’s worth your hard-earned money. That’s where my years of collecting Star Trek comics are here to help. Both the TNG collections here are pretty good stories. Ghosts is a classic TNG tale with a little of the supernatural thrown-in. Hive shows a world in which the Borg are finally victorious, and details a rebellion led by Locutus to change the past using post-Voyager 7 of 9. Countdown serves as a nice bridge between the old and the new, filling in some of the background before the first Abrahms Star Trek movie (and firmly establishing Data’s resurrection after Nemesis). It also sets up Nero as a relate-able and complex villain, more so even than the movie. The 3 Classics volumes are just that, some of the best work that came out of the DC Wildstorm era of Star Trek comics. I covered one of the stories in the second collection a few weeks ago. The three volumes are a mix of Voyager and TNG tales. Voyager’s Avalon Rising in Volume 3 is an unexpected treat. The Gorn story isn’t my favorite, but the artwork is beautiful. The Gold Key collections are sometimes beautifully drawn, but lack an understanding of Star Trek technology, how the characters act, or Starfleet values. Issue 1 ends with a mass genocide of an entire planet encouraged by Spock. These comics do sometimes fall into “so bad it’s good” but not often. DS9 Fools Gold isn’t much better. It’s set between seasons 3 and 4 of the show, but lacks any tie-in to the larger mythology of the show. Sisko (and many others) look comically angry at many points, and the story meanders and retreads to a bland conclusion. Nicely drawn, but little there. 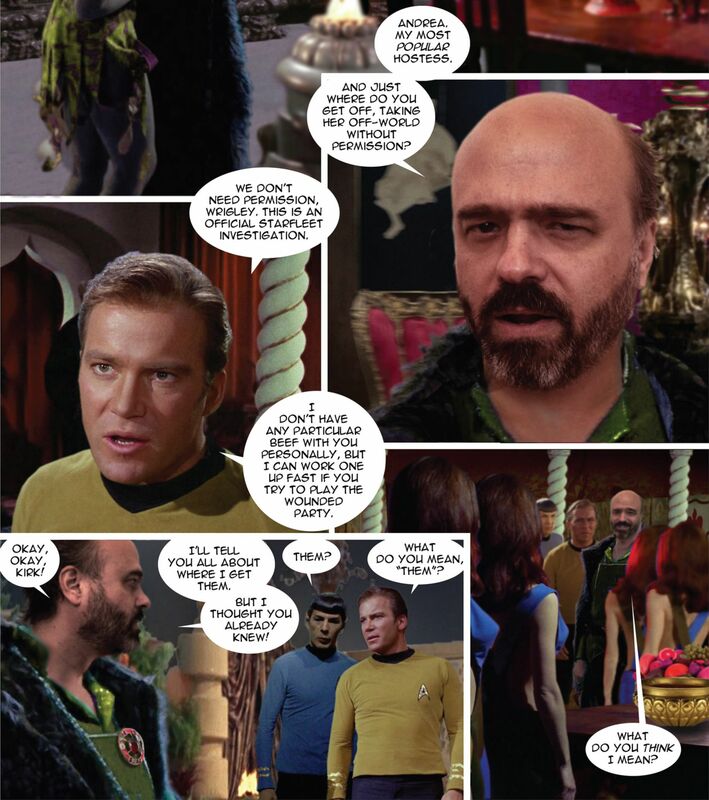 Star Trek Ongoing Volumes 1 – 3 are largely retreads of classic TOS episodes with the new cast. Often it’s a direct retelling of the episode with maybe one minor detail changed. Outcomes are occasionally different, but few of these tales rise above the source material. And the two issue per story format feels at times too short and too long. The Movie Adaption is okay. The artwork is typical of the brothers Tipton of whom I’m not a big fan. The 6 issue format gives the story room to breathe, but nothing is really added. Countdown to Darkness doesn’t live up to the previous Countdown series. 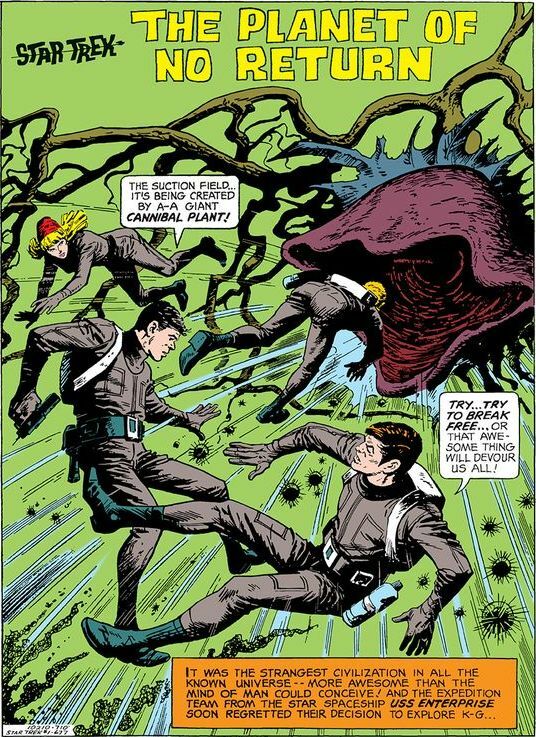 It’s a depiction of the Mudd incident (which would be more appropriately named the April incident, but whatever), which basically explains how the crew got that one weird ship the flew during Into Darkness. Not bad, but not great. Bottom-line: Spend the $1 if you like trek. There’s definitely something for you at this level (the Classics if nothing else). And it can be fun to make fun of just how bad the Gold Key stuff is. The Classics series continue with the first TNG comics series and the finale arc of the first DC TOS series. The TNG series is a mixed bag, but does feature the only Christmas Star Trek episode I’ve ever read. It also portrays a human Q long before the series did. The “Who Killed Captain Kirk?” story is Peter David at his prime. It’s funny, well-drawn, there’s a wedding, a trip through hell, what more could you want? The Archives line is similar to Classics, but covers more of the DC run. 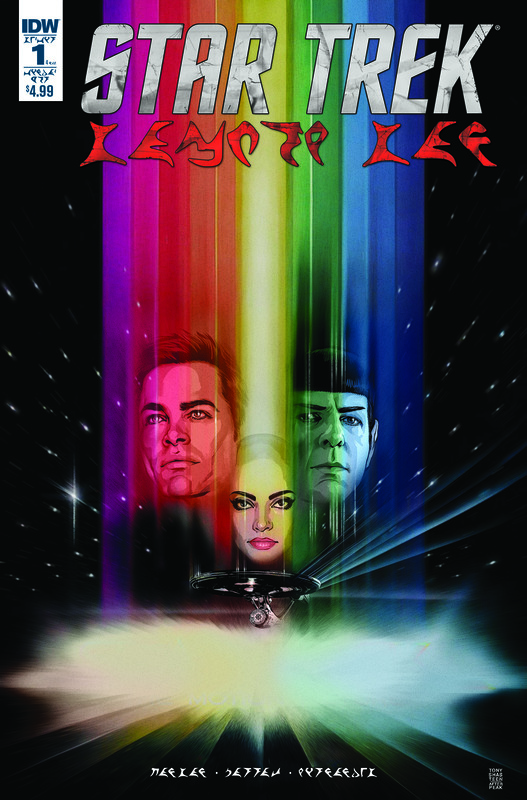 I’ve written about volumes 1+2 before (as part of my hidden Amazon Star Trek Comic gems). The quality in the Humble Bundle coloring is better than the Amazon transfer. The 3rd collection is two Gary Seven stories, the excellent Peacemaker, and the so-so Convergence arc (in case you wanted to know more about the aliens from TNG: Time’s Arrow). 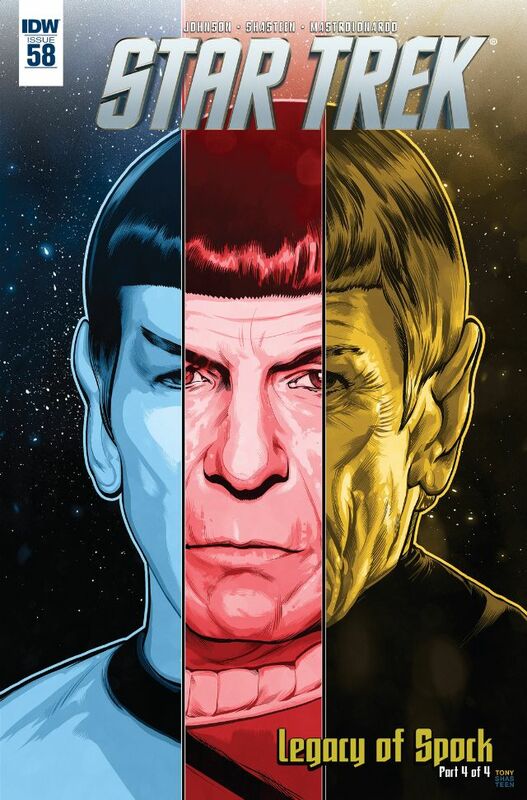 Star Trek Ongoing Volumes 4-6 tell more original and character-driven stories. We get individual stories on Uhura, Chekov + Sulu, Bones and, Scotty that provide some background on how these characters came to Starfleet. We get a neat tale from a redshirt’s perspective (loosely based on The Apple). We learn more about Keenser, Scotty’s littlest assistant. More personal and less epic, and much better than the first three volumes. Nero is terrible. It completely undoes the good work by Countdown. It has V’Ger, and Nero stuck in Rura Penthe for 20 years. Enough said. New Visions is a great idea. They’re photo-novel episodes of Star Trek, made with a combination of CG sets, and stills from the original series. Some of the stories are quite inventive, but the art is lacking. And given Byrne’s excellent artwork on other Star Trek tales, I always find myself wanting him to have drawn these rather than photoshop. The Gold Key stories get better. The Enterprise Mutiny is actually a pretty good tale. Spock Reflections goes back over significant moments in Spock’s life, as he makes the decision to go to Romulus. It’s another brothers Tipton tale, and kind of melancholy, but better than some of their other work. Bottom-line: IDW steps up its game on Ongoing, there’s a ton of the best of DC here, and New Visions is entertaining if not perfect. Plus this is the level where you’ll probably be getting New Visions Vol. 2, Ongoing 7-9 (which includes a fabulous Q arc) and Doctor Who crossover vol. 1. $8 is probably a good investment. The two Year Four volumes are great, particularly The Enterprise Experiment which features the return of the female Romulan from The Enterprise Incident and is written by DC Fontana. 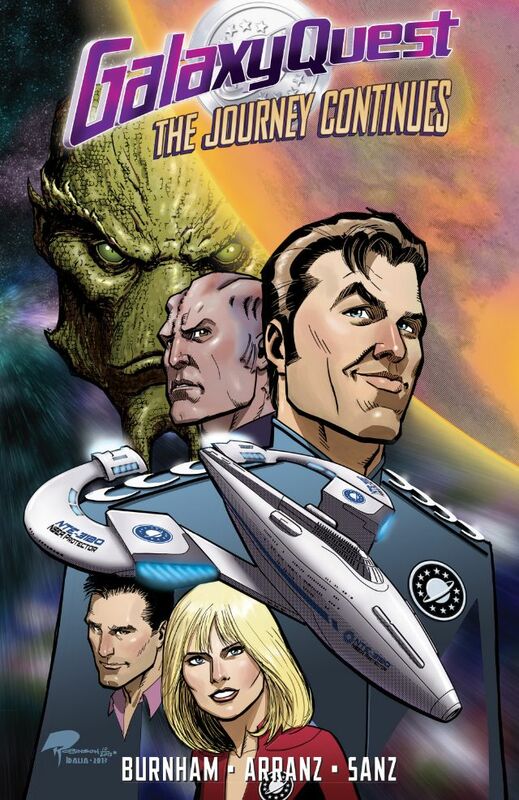 Assignment Earth tells lost tales of Gary Seven by John Byrne at the top of his game. I’ve written before about Harlan Ellison needing an editor. This version of City on the Edge of Forever is definitely not better than the original. Artfully done, yes, but badly structured. So yeah, crossovers. Star Trek with Doctor Who, Green Lantern, Legion of Super Heroes, and Planet of the Apes. The Doctor Who cross isn’t as good as you’d think. They make Picard kind of petulant, and frankly the Doctor having to convince Picard of the right thing to do rings wrong for me. There’s a nice bit with Doctor 4 and the TOS crew, and the artwork is great but otherwise this is long and kind of less then I thought it would be. The Green Lantern arc is … weird. Want to see which crew-members get which rings? Want to see General Chang from Star Trek VI? Then this is the book for you… I guess? Haven’t read Legion of Super-Heroes, but the cover art is cool. Planet of the Apes is an equally weird premise, but think of this. What would it be like if Shatner and Heston acted in a scene together? That might make this worth-while. New Visions Vol. 3 is really okay, but we do see TOS encounter the Borg which I think is almost as stupid as when Enterprise did it. And is that Scott Adsit from 30 Rock in the last story? Yes it is. Bottom-line: $15 dollars is a lot of money. The Ongoing volumes are good, but not as good as 4-9. Year Four is great, but these cross-overs are kinda painful. Why IDW doesn’t cross Star Trek with another property it owns like Ghostbusters, TMNT, Back to the Future, or Galaxy Quest I’ll never know. There are still gems here, but maybe only for hard-core fans. And if you like Green Lantern? Hey man, you do you. Seriously, I’m not sure if this story will appear later in a less expensive cheaper form. If you’re willing to spend $15, then it’s only another $10 to get this one-of-a-kind artifact, but I think most of you will be just happy with $8. Or going outside if you’re weird like that. I’m back from vacation and that means I read a lot of comic books. Here’s a review of one of them. I was pretty excited when I heard this series was coming out, and doubly so when it was available on NetGalley. Galaxy Quest is one my favorite camp movies and we just recently watched it after the passing of Alan Rickman (probably not the most fitting tribute but to each his own). So perhaps my disappointment with this comic series is due to high expectations, but I’ll leave that for you to judge. The comic series picks up several years after the events of the movie. The cast is still together and are doing the Con circuit in anticipation of the third season of the new show. The security guy is contemplating a spin off series, a move that is annoying some of the main cast, blah blah TV machinations. The main story involves the consequences of using the Omega 13 in the movie. An alien race that managed to lead a successful revolt against a technocratic oppressive government, fails when the timeline is reset and the government is able to repel the rebellion. Members of the rebellion enlist the Galaxy Quest crew (plus the Apple commercial kid) to take down a super-weapon and correct the mistake they caused. I think this was an interesting set up premise, that then failed in execution. 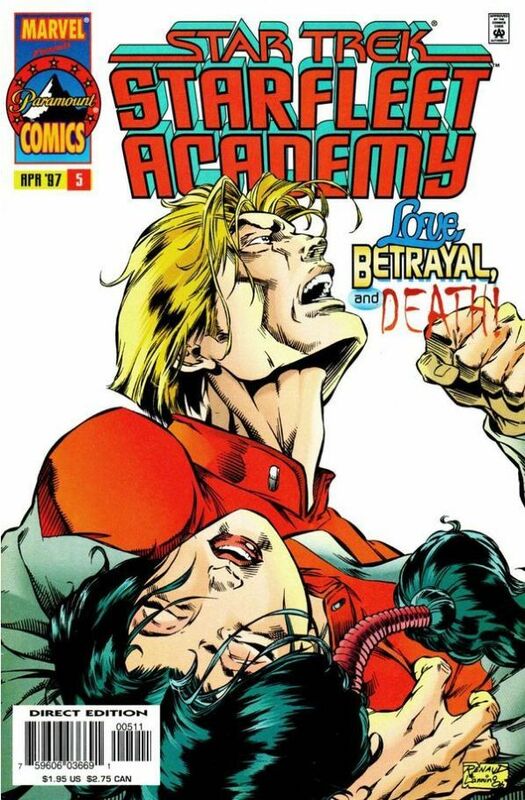 This comic had several execution problems starting with a Deus Ex Machina ending. Apparently humans are immune to the death ray thingy for “reasons” and so are able to destroy it without a hitch (spoiler?). The B-plot of aliens posing as the main crew at the cons is underdeveloped and could have been a real source of humor which the comic largely lacked. Also, the lack of likeness rights made it difficult to tell characters apart (particularly when not in their makeup). And Burnham’s writing of Rickman in particular reduced that character to griping the entire time. Perhaps in the hands of Rickman the lines would have come across better, but he didn’t seem quite as pouty in the movie, at least to me. The setup at the end for “continuing adventures” borrows the plotline from the beginning of the four issue arc, and seems like a rushed attempt to make this a continuing series, which I doubt it will be. BTW, the transporter body switching gag was not as funny as they’d hoped it was. Futurama’s return did a similar episode to much better effect (particularly Scruffy’s appearance at the end). The comic tried to do some callbacks (fan-service) to the movie, but these came across just as references and not as actual humor. IDW’s doing a run of “nostalgia comics” from Ghostbusters, to Back to the Future, and Galaxy Quest, to varying effect. Of those three, I’d say this was the worst of the lot.